On today’s show I talked with Robin Taub, a Chartered Professional Accountant, financial literacy consultant, public speaker, blogger, and author of A Parent’s Guide to Raising Money-Smart Kids. Robin discusses why it’s so important to teach children about money, the challenges that parents face, and solutions for getting started. Why should we teach kids about money? I asked Robin whether it might be a waste of time to teach children about money management when they don’t have any of their own. She explained that the consequences for both parents and children are too high not to start teaching financial literacy from an early age. For parents, supporting adult children using money that you’ve worked hard to save, especially during retirement when you had planned to relax, is not the ideal situation. For kids, growing up without properly understanding money management creates a large gap in their life skills and reinforces bad habits that will affect all aspects of their future lives, including their relationships and even physical health. To combat these consequences, Robin suggests that we start the discussion early. What we often forget is that kids do have money from birthdays, holidays, or allowances and they will need to make choices about what to do with that money. Make sure that any discussion that you have with them is appropriate for the age and maturity of the child. Talk about small steps that they can take to save their money and explain why saving is an important part of earning money. What challenges do parents face when it comes to financial literacy? your kids are picking up these things by watching and listening and learning from you. Is money a taboo topic? teens who talk about money with their parents at home, feel more optimistic and confident about their financial futures. One reason that money is a taboo topic at home is that parents fear having to answer sensitive questions about their salary, mortgage, or bills. Robin suggests that we address these questions but in an age appropriate way. Speak in general terms about salaries in your industry or take a question about mortgages as an opportunity to discuss the housing market in general. Children do not need to be privy to specific information, but they should not be shut out of the conversation about money. To learn how to fill out tax forms properly, specifically employment forms. Entitlement to refundable tax credits. Start to build RRSP contribution room. Build credit history. A strong credit history can help to negotiate better interest rates. Experience with the credit card cycle. Good introduction to paying bills. They may not understand that credit is borrowed money, leading to bad habits. High interest on unpaid credit card balances. Risk of fraud and identity theft – teens tend to be too trusting and over-share information that could put them at risk. Robin agreed to continue our conversation and discuss three healthy habits from her book, A Parent’s Guide to Raising Money-Smart Kids. Good Debt Vs. Bad Debt – Good debts are for purchases that could potentially increase in value, including assets like a house, car, investment in a business, or education. Bad debts are for purchases of consumption items such as clothing, dinner out, or entertainment that do not increase in value. When buying these items, it is always important to have the money before you buy. Knowing the difference between good debt and bad debt is necessary for making a financial plan, passing this knowledge on to your children, and modelling positive behaviours when it comes to money management. …that’s what goal setting is all about. It’s really like spending less today in order to save for tomorrow. 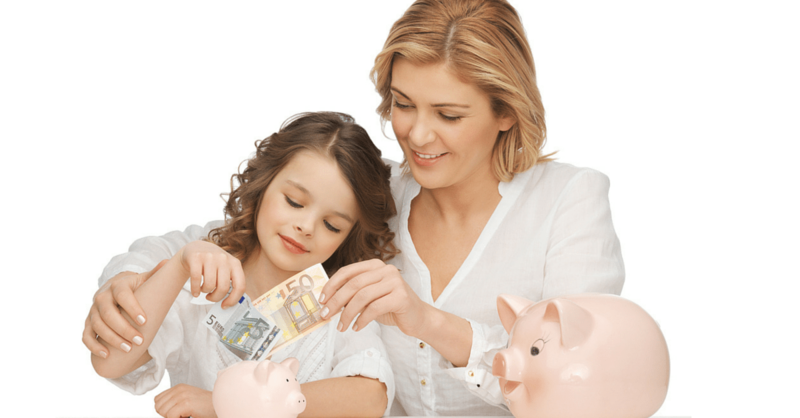 Creating A United Money Front – When teaching our children about money management, making sure that we as parents are on the same page is necessary for the lesson to sink in. Parents should make a plan about how to approach their child’s request for money. If the answer is different for each parent, your child might take advantage of this knowledge, especially as they get older. To echo Robin’s earlier argument, parents need to model positive financial behaviour. By creating a united front, your child will realize that spending and saving money is a serious action and that knowing when to spend or save is a beneficial life skill. Doug Hoyes: We’ve had a number of shows where we’ve talked about issues specific to seniors. Our second show we had Dr. Leanne Davies on talking about her work with seniors and all the debt problems they had. We’ve touched on it with a few other experts as well. What we haven’t talk about it is the other end of the spectrum. What happens, what are the issues, the money issues, the personal finance issues related to families, young people, teenagers that age group? And so today we’re going to talk about that. I’ve got a great expert on the line so let’s get started. Tell me who are you? What do you do and what book did you write? Robin Taub: Hi Doug. My name is Robin Taub. I am a Chartered Professional Accountant by training and currently I’m working as a financial literacy consultant, speaker, and blogger. And what that means is I help my clients create financial literacy resources that help Canadians understand their personal finance and investing. The resources range from blogs, speaking engagements and as you mentioned I wrote a book called A Parents Guide to Raising Money Smart Kids. Doug Hoyes: Cool. And I’ve read the book and I’m going to put notes in the show notes. I’ll put links as to how you can get that book, where you can get it. You can buy it as a hard copy, you can buy it as an e-book and it’s a great resource. But let me kind of play devil’s advocate here. So, I think everyone would acknowledge, yes it’s really important to raise kids who know about money and who are money smart. But is it really? I mean isn’t it kind of a waste of time trying to teach a ten year old kid about budgeting and credit cards when they don’t have any money? I mean isn’t money something you can only learn about when you have money and it’s really best to learn by experience? Robin Taub: Okay. So, let’s start with your first question which is why is it important to raise kids who know about money or are money smart? So, I think it’s important not just for our sake as parents but for the sake of our children, because if we don’t there are consequences for both of us. So, as parents we might end up supporting our adult kids financially or bailing them out of a financial mess like an expensive divorce or bankruptcy, something you know a lot about it. And that can really take place at the expense of us, the parents, could happen while we’re trying to enjoy our retirement and we might not even be able to afford to bail out our kids. So, certainly we want our kids to be financially literate and financially independent. And then the consequences for our kids are also significant because if they are not financially literate, they’re going to be lacking a basic life skill, something they’re going to need throughout every stage of their lives. And they can also start to develop bad habits, like living beyond their means, that become hard to break as they get older. And I’m sure you see this a lot, people who struggle with money, it spills into other areas of their lives like their personal relationships and even their health. So, I think it’s really important. But to answer your other question, is it a waste of time to try and teach a ten year old about budgeting or credit cards when they don’t have money? First of all you want to start early and lay the foundation. But it’s really important to do that in an age appropriate way. So – and that’s something that my book lays out as – there’s a chapter for each age, from young kids, pre-teens to young adults. So, yeah you definitely want to make sure you’re speaking to them about money topics that are appropriate for the stage that they’re at. And you mention also that they don’t even have money but that’s not even true really ‘cause ten year olds do have money from birthdays and holidays and they might get an allowance from their parents or they might do odd jobs to earn money. So, they have some money and they’re going to be making these choices. And you want them – and I agree with what you said that it’s best for them to learn. You know you do learn the best from your own experiences and especially from mistakes that you make. So, that’s why it’s so important to start when they’re young because that’s when the stakes are low. Doug Hoyes: So, what you’re saying is if we don’t learn then there’s consequences and you kind of laid them out. They ripple all the way through into later in life. So, okay I’ll buy your argument that it’s important to raise money smart kids. But is that hard to do? What are some of the challenges that you see in trying to raise what you call a money smart kid? Robin Taub: So, it can be hard for most people, for a lot of people, especially if you’re not good at it yourself. But if that’s the case, it can also be an opportunity for you to learn too while you’re teaching your kids. Someone like me or someone like you that has a financial background that’s a financial professional, it wasn’t hard and it was very natural. But the typical Canadian parents face challenges. And those challenges include a lack of knowledge, like they just don’t even know what to discuss. They don’t know how to approach it. Parents feel like they don’t have the time. And sometimes they feel like they’re lacking the opportunity to talk to their kids about money. So, I try to recommend that you look for teachable moments. So, an opportunity in your day to day lives, as you go about your day to day family lives to build in a little money lesson. And again for me that came very naturally because I’m always kind of thinking about financial matters and my husband is also a Chartered Professional Accountant, so it wasn’t something that we shied away from and I think that was actually really good for my kids. Doug Hoyes: And so really what you’re talking about then is, in addition to being a teacher, you’re really being a role model as well. So, I mean like you, I’m a parent, I’ve got two teenagers. I’m also married to a CPA, so that’s kind of creepy. My theory is that the most important way that I can teach my kids is to be a good role model. Instead of me giving them a lecture on proper money management, I would assume that being a good role model is the most important way that you can raise what you call money smart kids? Robin Taub: Absolutely. And that’s actually the first chapter in my book is the importance of being a good financial role model for kids because actions do speak louder than words. And teenagers, like you and I both have, they’re going to sniff out any kind of hypocrisy and they’re going to call you out on it. So, you cannot – the old do as I say, not as I do, that is not going to fly. And you really have to, as I say, walk the talk. Nobody’s expected to be perfect, but you really do have to do your best to you get your own financial house in order so that you can lead by example. And I’m sure parents listening will agree that that’s an important concept to being a good role model for your kids in a lot of different areas of your life. You know personal finance is just one, but you want to set a good example in terms of how you take care of yourself, your health, your relationships with people, your work ethic, all those things. Your kids are picking up these things by watching and listening and learning from you. Doug Hoyes: Yeah you can’t tell your kids it’s bad to smoke cigarettes if you smoke. Doug Hoyes: That’s just not going to work. Robin Taub: Right, exactly. And you can’t tell your kids to live within their means if they hear you and your spouse talking about oh my god how are we going to pay our bills or how are we going to pay off the credit card? They really do absorb a lot just by osmosis. Doug Hoyes: Do you think that money is a taboo topic in a lot of houses? Doug Hoyes: And why is that? I guess you just have to acknowledge it and get over it then. Is that the solution? Robin Taub: Yeah, I mean it’s an uncomfortable topic for a lot of people. And I think it can be uncomfortable if you’re not doing well and you’re struggling and you’re not good at this. You know it’s a little bit embarrassing to share that with the kids. It’s also hard if you have a lot of money. You know I’ve spoken to groups of affluent Canadians or I’ve spoken to wealth managers that work with affluent Canadians and it can be an uncomfortable topic there as well because there’s an abundance of resources. But the problem is that, if you don’t talk about it, you’re depriving your kids of an opportunity to learn, to learn from you, their parents. And there’s research that CPA Canada did that shows that teenagers who talk about money with their parents at home, feel more optimistic and confident about their financial futures. And parents who are most successful at teaching their kids, it’s because they talk about it with them often. And you know, it’s not an off limits topic. Doug Hoyes: So, you talk about talking about it. On page five of your book, you’ve got a cartoon of a child asking her father, so how much money do you make? Is that something that parents should be talking to their children about or how do you address that question? Robin Taub: Right. So, that’s the reason why it’s taboo often because your parents are worried that they’re going to get these sensitive or uncomfortable questions. So, one is how much do you make or another could be do we have a mortgage or how much is your mortgage? Or my son used to ask my husband if he had a good quarter, because he has his own business. So, I think again, I said it earlier, age appropriate. So, you’ve got to take your child’s age and maturity into account when you answer these questions. And you have to stress confidentiality because yes, I’m encouraging openness in conversation but these aren’t things you want your kids to share with the rest of the world. These are private family matters to some degree. So, you want to make sure that they understand that and I’m not sure that kids have to, need to know exactly how much you make or exactly how much your mortgage is. First of all, that’s information – it’s not their responsibility to make ends meet in the household. But you don’t want to deny, like you want to be honest with them. You don’t want to deny their questions or their curiosity. So, you can talk to them in a more general – like give them a range. So, you can say people in my line or work or people that are CPA’s, they make anywhere from this much when they graduate from University and start working. And then they work their way up. And the average in Canada, the average CPA in Ontario, or Canada, makes this much. So, you can kind of – you can talk about what a doctor might make depending if he’s a specialist or not or what the minimum wage is things like that. You can always talk about general concepts around earning, saving, spending and donating money without divulging things that make you really uncomfortable. Doug Hoyes: And that makes sense, yeah. So, it has to be age appropriate. You’ve got to explain to the child that this is information for the family, not be broadcast on Twitter. And as a result they can learn from it without being overburdened by it. That’s very good advice. We’re going to take a quick break here. I got a lot more questions. So, I will be right back. This is Debt Free in 30. Doug Hoyes: We’re back on Debt Free in 30, and my guest today is Robin Taub, who is a chartered professional accountant, an educator, and the author of the book A Parent’s Guide to Raising Money Smart Kids. We talked about younger kids before the break, so now let’s talk about older kids. I believe in Canada you have to be 18 years of age or older to obtain a credit card in your name. My question is should you? Is that a good idea? Robin Taub: So, yes you have to be the age of majority and even before that, you can get a supplementary card let’s say on your parent’s credit card as a teenager. But that is – any purchases made on that card, if it’s a supplementary card, would just go onto your parent’s account. But to have your own credit card, in Ontario it’s 18. Okay, so the question is, is that a good idea? So, credit cards we all know are very convenient and safer than carrying around cash. And there’s other advantages too, like frequent flyer points and stuff like that that you can earn if you use a credit card. The other thing is, it lets you start to build a credit history, which is important later on when you borrow money for let’s say a house or a car. And if you have good credit, a strong credit history, you will be able to negotiate a better interest rate. But the risks, there are risks with having a credit card. And it’s really important to sit down with your child and make sure they understand how a credit card works, like the basics. Cause you’d be surprised, some of them are really naive. They don’t understand that it’s buy now, pay later, that you’re actually borrowing money. They just – unless you sit down and show them how a credit card works when they were younger, they just may not know. So, you want to just go over these basics that you have a credit limit that’s predetermined that you’re not supposed to go over, that you have to pay, the amounts accumulate over the months and then you have to pay one lump sum on the due date. And if you don’t then you’re going to be paying compound interest at an extremely high rate. If you don’t make your payments on time or if you miss your payments there’s going to be fees and penalties and there’s probably an annual fee involved with having a credit card. So, all of those very basic things, they don’t know. And they need to understand before they even think about getting a credit card. And obviously if they do go out and get their own card they should make sure that the limit is set extremely low so that they can’t get into trouble by accident. And I think once they understand it, it’s good experience for them to use a credit card, to see how that credit card cycle works, the cut off date, then you have like three weeks to pay it. And it’s a good introduction to the real world of paying bills. As long as it’s sort of done in a bit of a controlled environment where you’re keeping an eye on it and you’ve kept the credit limit extremely low. Doug Hoyes: Do you worry about fraud when there’s credit cards out there? Robin Taub: Sure I do. I mean I’ve had my credit card compromised, my debit card compromised. Probably it’s happened to everyone at some time. The only – the thing that makes it a little riskier with teenagers is they overshare everything. They overshare their personal lives and they also overshare their financial information. So, things like texting, debit or credit card numbers or pins or even taking like a picture of a credit card and posting that on social media. There are so many risky thing. Kids are very trusting. I know that my kids have told me that it’s not unusual for someone to give them their own debit card and pin if someone’s going to buy fast food or something like that and they’re not going along with them. Or someone will give their smart phone pass code if somebody is going to Starbucks and they want to pay using their Starbucks app. So, they’re very naive and trusting in that way and I think that in most cases it’s probably okay, but I don’t think it’s a good practice to be getting into and I think it’s better to be safe than sorry when it comes to this stuff. Because if your identity is stolen, if you’re subject to fraud or identity theft, it can be a hassle, to clear your name and cancel everything and get everything sorted out. So, you really want to be mindful of that. And I think there’s just this tendency for kids to just be very out there with everything and it’s not smart when it comes to your money. Doug Hoyes: Yeah and I guess it all comes back to what you said at the top of the show that you have to look at things in an age appropriate manner. I’m not one of those guys who said oh well you should never have a credit card then because something bad might happen. You certainly never to have a credit card, that’s fine. If you’ve made that choice no problem, use a debit card, use cash. But if you are going to use a credit card and there are some reasons to use them, you lay them out. You’ve also got to be careful about it and obviously posting them on social media is not the way to do it. Hey, look I’m proud. I’ve got my first credit card. That’s not what you want to do. 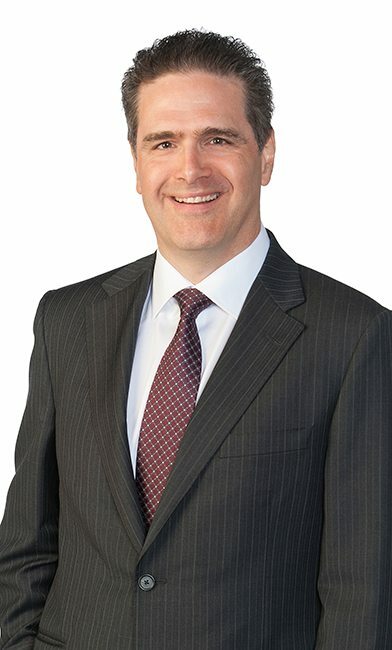 Robin Taub: No, and the other thing too, the best defence against fraud is – I mean in addition to like safe guarding your pin and always knowing where your card is and being careful, is reviewing your bank, your credit card and bank statements on line. It’s so easy to do. Most young people are very mobile and all the banks now have these mobile apps where you can just log in and look at the activity in your account. And if you see something suspicious or weird, all you have to do is call the bank and notify them and you know, the appropriate steps will be taken, whether you have to cancel your card and get a new one, or they’re just going to investigate. So, that’s – and I think that’s also a good step to being financially literate, because you’re reviewing your transactions, you know where you stand, you know what your credit card balance is, like what you’re going to owe at the end of that period. It’s just another way to stay on top of your finances and prevent fraud or identify theft. Doug Hoyes: Yep, makes perfect sense. Well, those are some great ideas. I really appreciate you for joining me. Today that was Robin Taub. She wrote a book and I’m going to have all the notes on our website but the book was called A Parent’s Guide to Raising Money Smart Kids. It’s got a lot of practical advice. You can go to our website at hoyes.com and get all the links to that. Robin thanks very much for being with me today. Doug Hoyes: We’ll be right back here on Debt Free in 30. My guest today was Robin Taub, author A Parent’s Guide to Raising Money Smart Kids, and she told us why raising money smart kids is important. She said you don’t want your kids to develop bad money habits and start living beyond their means, and have debt problems, because that’s not good for young adults. As a parent, you want money smart kids so you don’t end up having to bail them out if they have problems. How do you do that? Robin gave lots of examples, but it starts with being a good role model for your children. So what’s my view on raising money smart kids? I agree with Robin, and I think every child is different, so there is no “one sizes fits all” approach that will work in all cases, but I do believe that it’s important that you don’t excessively shelter your kids. We often learn more from our mistakes than we do from our successes. That’s why I think it’s important for young children to be exposed to financial decisions at an early age. Most kids have some money, from an allowance, or doing chores, or from birthday gifts. Encourage them to think about where they want to spend their money, and that will teach them one of the most important money lessons there is: you can only spend a dollar once. Once it’s gone, it’s gone, so making a plan is essential, at any age. It’s time for the Let’s Get Started segment. I’m Doug Hoyes and I’m joined today by Robin Taub who wrote a book. And in that book she lists 10 healthy habits of financial management. We’re pressed for time; we’re not going to get to all of them today. But I’d like to pick on three of them. So, let’s start with the concept of good debt and bad debt. So, in your book on page 10 of the book Parent’s Guide to Raising Money Smart Kids, you talk about it’s important to understand the difference between good debt and bad debt. Explain to me your concept there. Robin Taub: So, I think in life you can’t really avoid debt. Because for the big purchases, substantial purchases in your life, you’re going to need to borrow money. So, I talked earlier about getting a mortgage on a house or maybe investing in a business or buying your first car. But there’s a difference between debt that you take on to purchase an asset that has a potential to go up in value or to help you make a living or even for example if you have to borrow money to go to university you’re investing money in your future earning power. So, those are examples of good debt because the debt is associated with something that is an asset. Bad debt on the other hand is debt that you incur to purchase consumption items, so clothes, restaurant meals, entertainment, things that don’t appreciate and don’t go up over time where sometimes they actually go down the minute you walk out of the store with them. So, these are just consumption items that you really should have the money already saved before you buy them. This isn’t the kind of thing you want to put on your credit card. Because as I said earlier, if you can’t pay it off, you’re going to be paying compound interest monthly at very high interest rates. And before you know it, that consumption item has cost you so much more than the original sticker price. Doug Hoyes: Which I guess gets into your next point, point number 7 on your 10 healthy habits of financial management which is, it’s important to teach delayed gratification and setting of financial goals. Tell me about delayed gratification. Robin Taub: So, that’s the ability to wait for rewards. And that’s something that really young kids, like two year olds, three year olds can start to learn. And there’s a famous experiment called the marshmallow test and you should Google it because it’s very, very interesting. But it does show that kids who can resist temptation and have willpower are successful, young kids who show those skills, are successful later on in life. It means that they have the ability to delay gratification, wait for rewards. So, for example to put money away and savings rather than go out with friends for a fun night and spend it all or the ability to buckle down and study, rather than just wasting time watching T.V. So, the ability to do what you have to do now and delay gratification is a really important life skill that translates really well in the financial world. Because that’s – that’s what goal setting is all about. It’s really like spending less today in order to save for tomorrow. Doug Hoyes: And really the point is, it’s not just a financial skill, it’s a life skill. That’s really what you’re talking about there. So, number 10 on your list, present a united money front. So, obviously you’re talking about this I guess in the context of families. What do you mean by that? How do you do that? Robin Taub: Parents should ideally be on the same page financially speaking. So, if a child comes to you and they want something or they’re asking for you to buy them something, I think the answer should really be the same, whether they’re asking mom, who might be the more frugal one, or dad who’s more of a spender. And the answer should be based on your values as a family, like what’s important to you and the goals you set and of course your financial means and resources. But what can happen if you’re not on the same page and you don’t have a united front is that your kids will sense that and they will take advantage. Again, teenagers, older kids, will sort of take advantage of that if they know they can go to one parent and get the answers that they want. And they know going to the other parent, they’re going to be told no. They will try to get away with that. Doug Hoyes: And so the solution then is we’ve got to make a plan in advance. Robin Taub: Yeah, I mean I think you have to have shared family values and those values will sort of dictate what your financial priorities are too and your budget and that translates down to your children and their budget and their goals and things like that. Robin Taub: Yeah, I mean it’s pretty much I think true with all family decisions, like whether it’s your child asking you to stay up past their curfew or going on vacation with their friends or whatever permission they’re seeking. And this could be they want to buy something that’s expensive or do something that’s expensive. I think you always want to come to that decision as parents, as a united front, rather than, you know, one parent agreeing and one parent saying no right away without even consulting with the other. Doug Hoyes: Makes sense, then you can’t get in trouble. I appreciate it, thanks very much for joining me. That was Robin Taub, who wrote A Parent’s Guide to Raising Money Smart Kids and you can get all the links at hoyes.com. Thanks Robin. 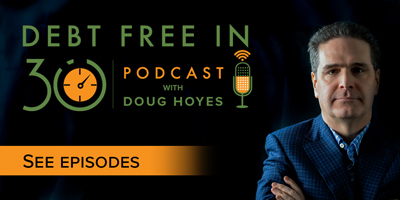 Doug Hoyes: It’s time for the podcast only bonus segment here on Debt Free in 30. Our radio show only runs for 30 minutes, actually less with commercials, so sometimes we run out of time, and that happened today in my discussion with Robin TOBE. In the first segment we talked about very young children. I want to talk about older kids. Teenagers, young adults, who are in high school, or university, moving on in life. They probably have part time jobs. Maybe they’re about to finish high school and going into University. If you make less than a certain amount, you don’t have to pay taxes. So, most kids in high school or university aren’t paying taxes. But in your book you still recommend that you file a tax return. Why do you say that? Robin Taub: So, as you mentioned if you make less than the basic personal amount, which is about $11,500, you don’t pay any federal tax. But if you don’t fill out the employment forms properly, it is possible that your employer could withhold and remit tax to CRA. So, the only way to get that tax back, to get a refund is to file. So, that’s one reason. Another reason is, you may be entitled to re-fundable tax credits. And if you don’t file you will not get them. And then finally, filing a tax return lets you start to build RRSP contribution room. So, if you’re working and you have earned income, as you know a certain percentage of that is one of the limits as to how much you can put into your RRSP a year and obviously you want to get your kids into good habits. And one of those is savings. And saving in a RSP because the tax advantage is a great first step. So, those are three reasons. Doug Hoyes: Okay and that makes sense. So, even a 17 year old is building up RSP room if they have earned income. Doug Hoyes: But I guess even if the age restriction is 18, the point is still the same thing, build up the income. Robin Taub: Build up the savings – like a tax free savings account you do have to be 18 to open. I would have to double check on the RSP but yes, the idea is to put it into the RSP where there’s no tax on the earnings within the plan. And also you’re entitled to deduct your contribution and you don’t even have to deduct it the year you make a contribution. You can carry it forward to a year when you’re earning more income and you’re in a higher tax bracket. Doug Hoyes: So the point here is that even teenagers should get into the savings habit. We’re not saying that a teenager should invest in a Tax Free Savings Account or an RRSP. You have to be 18 years old to open a TFSA. There is no lower age limit on opening an RRSP, but you have to have earned income, so in most cases a teenager won’t open an RRSP. However, they should still understand how they work, because once they reach their 20’s and are working full time, they may be ready to start investing seriously. That’s it for the bonus podcast only segment. Thanks again to Robin Taub for joining me today. I’ll be back next week with another all new show.